MYFOXNY.COM - Westchester County officials say they're confident samples from the Hudson River show it is now safe to swim, fish, windsurf, kayak and jet ski in the water. A water advisory was in effect following a fire at a water treatment plant in upper Manhattan last week . Service was shut down at the plant for approximately 48 hours sending sewage into the River. It was stopped on Friday night after pumps began working again. About 200 million gallons of sewage spilled into the water, affecting area beaches and water activities. But authorities didn't expect any long-term effects. City Health Department officials say they continue tests of the water. For udpates from the NYC Department of Environmental Protection, CLICK HERE . This program for children provides kids with an understanding of the range of conflicts for which the Purple Heart has been awarded. Uniforms and equipment from the Civil War through today will be presented. Reservations are required and can be made by calling 845-561-1765. The National Purple Heart Hall of Honor is located at 374 Temple Hill Road (Route 300) in the town of New Windsor, three miles south of I-84 exit 7B and I-87 exit 17. Parking, gift shop, and picnic grounds are located on site. Museum exhibits are open 10:00 AM to 5:00 PM Monday - Saturday and from 1:00 PM to 5:00 PM on Sunday. Celebrate Summer! Hudson River Park's free waterfront events start tomorrow! Tuesdays at 6:30pm through Aug 16 (except July 5). On the waterfront, right in the heart of New York City’s Meatpacking District, Hudson River Park’s signature concert series is the place to be this summer! With exciting bands and fantastic panoramic views, RiverRocks is certain to create a memorable and rockin’ summer night! Hudson River Park’s Pier 84, cross at W.44th St. In the shadow of the Intrepid, one of Hudson River Park’s most exciting events returns to Pier 84. As the sun sets, the action rises, when amateur ﬁghters from the New York area compete in the square circle. The ancient sport of Muay Thai kickboxing will debut as the featured style of this year’s event. General admission isFREE. In addition, special VIP ringside tickets are available for purchase starting July 23rd. Back for the 12th year, Hudson River Park’s annual Blues BBQ festival brings the best Blues bands from across the country together with the ﬁnest New York City BBQ restaurants for a fantastic summer day on the river. This feast for your senses brings you the sights, sounds, smells and tastes of a true southern BBQ experience! Also, visit wildly-popular, California-style Pier 62 Skatepark at W.23 St. The Hudson River Gorge is the most dynamic stretch of the mighty Hudson River, which runs from the highest peak in the Adirondack Mountains all the way to New York City. This stretch of the Hudson River is one of the top 10 rafting trips in the United States. Spring trips on the Hudson River offer challenging World Class Rapids through the Adirondack Wilderness. In the summer and fall the Hudson is perfect for people of all ages and ability levels. 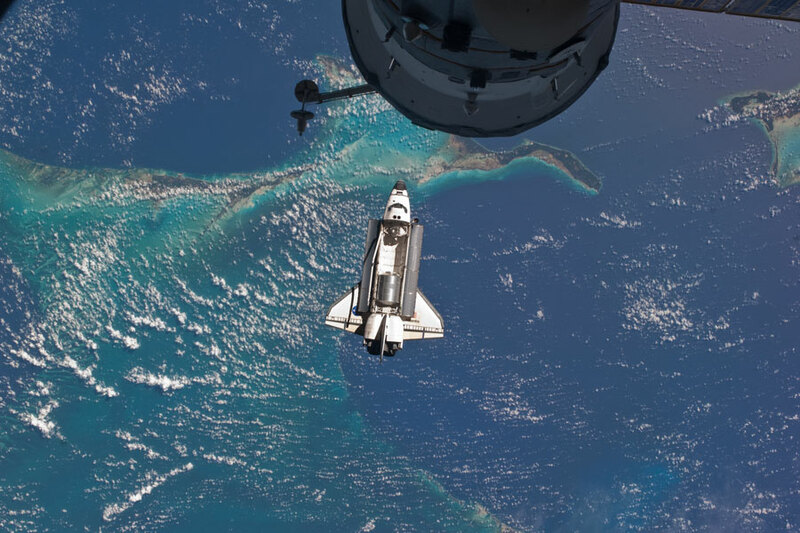 There is no better way to view the Fall Foliage! The 17 mile trip starts with 3.5 miles on the Indian River, with continuous Class III rapids to warm up. Then it's 14 miles of Class III & IV on the Hudson River with rapids like Blue Ledges, The Narrows, Mile Long Rapid & Harris Rift. We also raft 13 miles on the Hudson Middle Gorge when levels allow. Our friendly, enthusiastic, and experienced guides will make your day on the river special. State-of-the-art equipment and self-bailing SOTAR rafts ensure safety and fun on the river. Spring rafting included a BBQ dinner at our adirondack base camp. The North River to North Creek section requires a 3.5’ river level. The scenery is spectacular along Route 28 and the keyhole waterfall is beautiful as it flows out of the mountain, then it is on to the North Creek Train Station. This river section is class I and II and is a great float. The Middle Gorge from North Creek to the Glen requires a 4’ river level. North Creek to Riparius is a 7 mile section that has been made famous by the Hudson River Derby, which started 51 years ago in 1958. The North Creek Brook, Collins Mountain, Bird Pond and Spruce Mountain rapids have given open canoers stories for a life time. This river section is class II and III and is excellent for youth groups (age 5+). The Riparius to the Glen 6 mile section narrows and picks up the Mill Creek adding water to the Class II and III rapids. Horse Shoe Falls can be difficult and challenging when the river gets above 6’. This section mirrors the upper Hudson, in high water giving rafters a taste of what the upper Hudson River Gorge is all about. Pick your river toy – Raft, Tube or Ducky for the Middle Hudson River Gorge. A “Great Camp” atmosphere on beautiful Blue Mountain Lake, the Gem of the Adirondacks. Stay with us Spring, Summer or Fall for a relaxing getaway. Beautiful beach, canoeing, art gallery and museum are just a brief walk away. Whitewater base camp, hiking, fishing and swimming on the lake. The Inn provides the ideal setting for vacations, meetings, retreats, family gatherings and weddings. .
3rd and 4th person per room are ½ price. We are a non-profit, non-commercial organization dedicated to windsurfing in the mid Hudson Valley. Our primary sailing area extends from roughly Cornwall-on-Hudson in the south to North Germantown in the north. On any weekend when the wind blows, someone will probably be sailing at either Kingston Point Park or Rider Park. Kingston Point Beach, Kingston, NY. Lessons start at 5 pm, and we hope to be on the water by 6 pm. Equipment will be provided. Just bring yourself, your sense of humor, and your willingness to learn! We only ask for a $15 donation to HVW, which will be credited to your first year's membership if you choose to join the club. 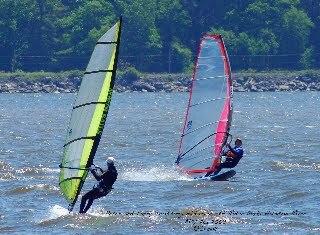 The Hudson Valley Windsurfers sponsors two learn-to-windsurf days each summer at Kingston Point Beach. A printed newsletter is mailed several times per year to all members. We maintain a members-only email list (reflector) on Yahoo! Groups. We maintain a members-only wiki with links to Hudson River tides and currents, a list of upcoming club events, a photo gallery, list of stuff for sale, member directory, trip reports, and more. HVW was instrumental in organizing and raising funds for the recent installation of three iWindsurf wind meters on the Hudson River. 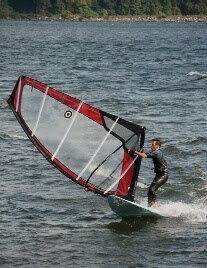 Membership in the Hudson Valley Windsurfers is $15 per year. If you would like to join, please contact us at hvwrr@optimum.net. To sign up for our email list (members only), please visit our Yahoo! Groups page. To join our wiki (members only), sign up here. Please do not submit a request to join the reflector or the wiki unless you have already joined the club. The quality of the Hudson River's water has improved dramatically since the passage of the Clean Water Act in 1972. Public swimming beaches on the Hudson River are now maintained throughout the summer at Ulster Landing Park, Kingston Point Park and Croton Point Park. For more information, visit the New York State Department of Environmental Conservation's Hudson River information center. Here's a map of windsurfing launches in the mid-Hudson valley. The most popular sites in our area are Kingston Point Park (for northerlies) and Rider Park (for southerlies) due to their ease of access and big, grassy rigging areas right off the water.